Nevada authorities say a legal pimp who gained popularity for an HBO series about his business and a Republican candidate for the state Legislature has died. 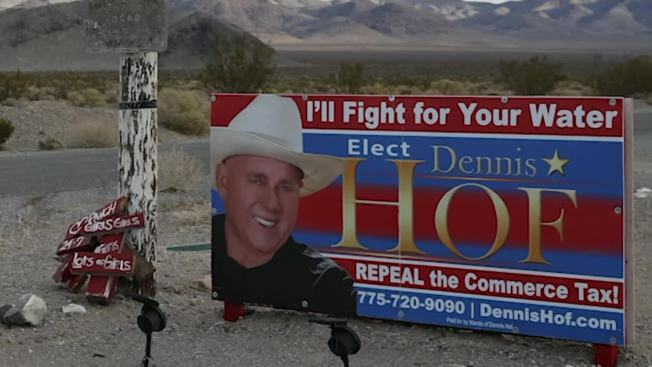 Nye County sheriff Lt. David Boruchowitz said an employee at Dennis Hof's Love Ranch brothel outside of Las Vegas summoned authorities a little before 11 a.m. Tuesday after Hof was found unresponsive and not breathing. Hof was the Republican nominee this year for a heavily GOP legislative district. Ballots have already been printed in the race and it wasn't immediately clear how elections officials would handle Hof's death.